Ag nanoparticle aggregates in azo-polymer films were investigated by using scanning near-field optical microscopy. The near-field optical images show that transmission enhancement happened for these metal aggregates. 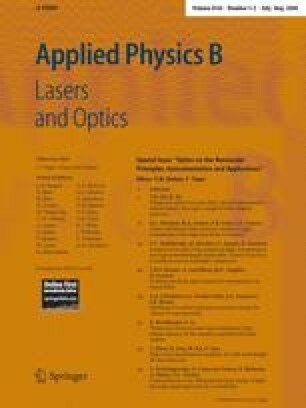 Far-field experiment results show that the photo-induced isomeration speed of the azo-polymer molecules was enhanced when doped with Ag nanoparticle aggregates. The mechanism of the transmittance enhancement and speed enhancement was discussed from the viewpoint of the excitation of the surface plasmon of Ag nanoparticle aggregates.